This channel is designed to cure the insane lackluster and boredom associated with computer programming. The main focus of the channel is to create programming tutorials and generate public interest in the field of software development. I strive to make learning more comprehensive and fun again. However... I am a full-time college student at UIC, work as a part time private chess instructor, programming instructor, and I also work as a freelance software developer. Pledges will allow me to focus on producing more amazing content for entertainment, video computer programming tutorials, as well as podcasts -- All related to computer programming. This is not meant to lure guilt. The idea is simple. I focus on producing high quality content and education. You focus on enjoying and learning. My goal of producing content will happen regardless of my sponsors or support! So, feel free to watch all these videos as it is all for free! Pledges will simply let me focus with a greater intensity and help me increase the frequency I produce content for you guys! p.s Some interchangeable yet not so interchangeable acronyms you might know: computer programmer, software developer, computer sciencer, software engineer, coder, and hacker. These are all people who speak to a computer and the computer listens like a good little boy. Did you just join my team of patrons?! Yes, yes you did. THANK YOU! As an official patron. I will use your name in some of my wonderful analogies in one of my videos. I will also notify you through e-mail, patreon, youtube, or comments which part of the video I did that at.. Plus all previous rewards. I will create 1 videos specifically for you addressing something important to you (one time only). Plus all previous rewards. You will receive 1 one-on-one session with me (40 Minutes). Also, you are awesome! OR you will receive 2 one-on-one sessions with me (1 hour each). Plus all previous rewards. I will create a full video tutorial course specifically designed for you (one time only). 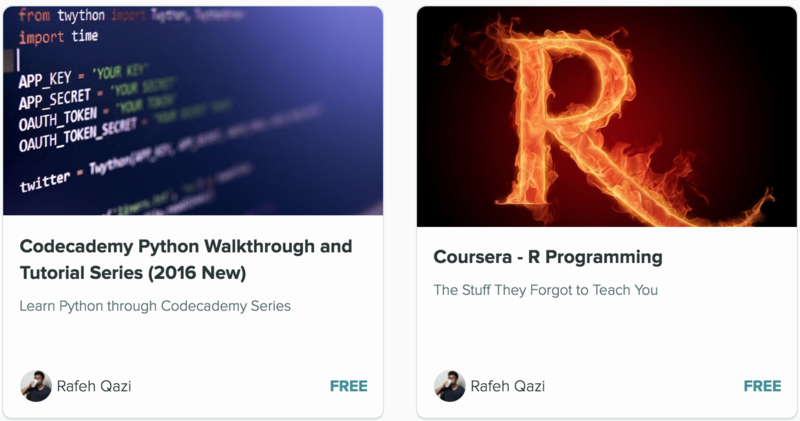 Video e-courses hosted on cleverprogrammer.com. Website domain and server hosting $39/month.